USPS 'Story of Venice' Mural Loan Agreement - Yo! Venice! A helpful Venice resident asked the US Postal Service for “all documents that pertain to the lease of the mural entitled ‘Story of Venice’ by Edward Biberman by the United States Post Office to Joel Silver, or any entity related to Joel Silver” using the Freedom of Information Act. Click here to download the document! 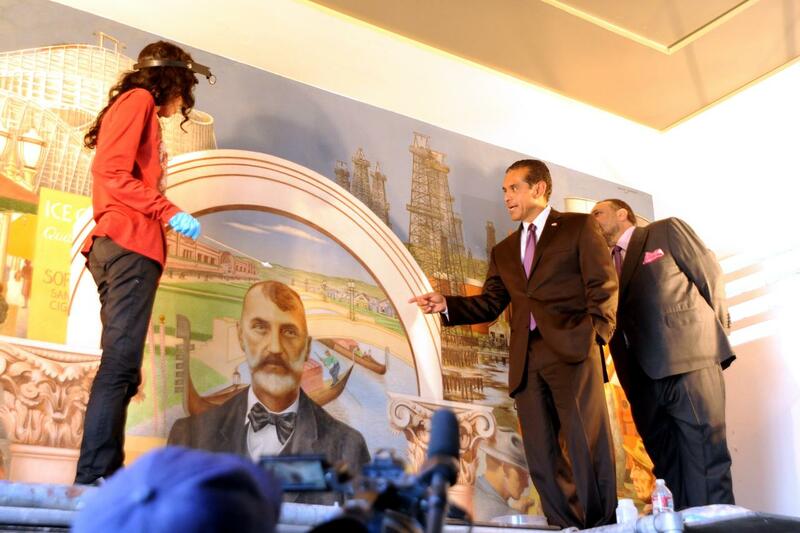 Following completion of the restoration, Borrower agrees to provide public access to the Mural six days per calendar year during the hours of 10 a.m. to 6 p.m. Pacific Time by appointment. In the event a security or safety risk exists at the Property, Borrower may temporarily suspend such public access. The access provided by Borrower pursuant to this Section 2 shall serve to satisfy the obligations for access under Section 10 of the Loan Agreement. While the contract does say access to the mural will only be provided “six days per calendar year by appointment”, Mr. Silver assured the public at a press conference in October regarding Silver Pictures Venice location that public access to the mural will not be a problem.